Governor Umaru Tanko Al-Makura of Nasarawa State has sent the names of 11 nominees to the state House of Assembly for confirmation as commissioners and members of the state executive council. 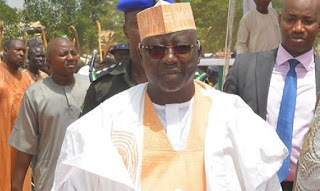 Alhaji Ibrahim Balarabe-Abdullah, the Speaker of the House announced this after the Majority Leader of the House, Tanko Tunga (APC-Awe North) read the t letter to that effect during the House proceeding in Lafia on Tuesday. Reports says that the 11 nominees are: Hajiya Halima Jabiru, Salisu Abubakar Haske, Pham.Victor Tella, Musa Suleiman, Hajiya Jamila Sarki , Dr Roseline Kera, Hajiya Sa’adatu Yahaya, Hudu Yamba, Dr. Clement Ehemba and Mohamed Bashir Aliyu. According to the letter, their appointments followed the recent reshufflement of his cabinet. The speaker urged the nominees to submit their curriculum Vitae(CV) on or before Nov. 30. He also slated Monday, Dec.3.for the screening of the nominees and possible confirmation .